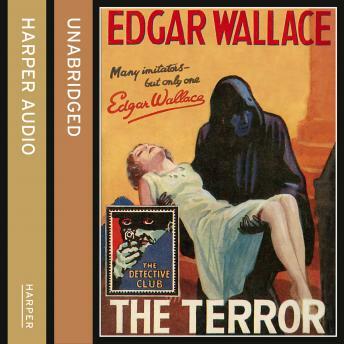 The sensational novel which launched Collins' Detective Story Club in 1929 was by Edgar Wallace, who wrote more crime stories in the 1920s, and more films, than any other author. This new edition of The Terror, with its original jacket artwork, also includes another classic Wallace text, White Face. A dangerous gang of criminals is imprisoned after a daring robbery, although the ringleader who masterminded the crime disappears with the loot. Finally released after ten years behind bars, they are out for vengeance on the man who betrayed them, and the trail leads to a lonely house haunted by organ music and the spectre of a hooded figure who prowls its dark corridors. The Terror began life as a stage play, then a film, and finally the book that began Collins' Detective Story Club in July 1929. This new edition also includes White Face, the other crime novel Wallace adapted from one of his own plays. A doctor finds a man murdered in a seedy part of London. The police suspect a notorious master of disguise known as 'White Face', and the doctor enlists a reporter to help him track down and unmask the elusive killer.